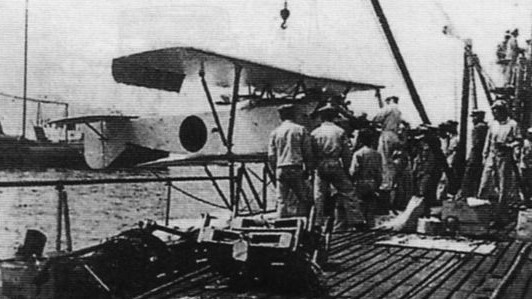 The Japanese had observed with interest attempts in the west to create submarine-launched aircraft. The Japanese Navy had a particular interest in developing this capability in order to extend the reconnaissance capability of their submarines in the event of war with the United States. To that end, the Navy purchased the German made Caspar-Heinkel U-1 and produced a copy called the Yokose 1-Go. 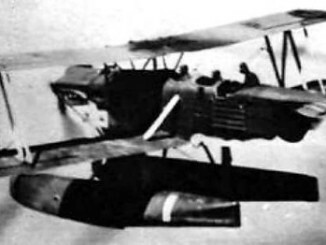 An improved model, the 2-Go, was based on the British Parnall Peto and proved to be a better aircraft, and this was put into limited production as the Yokosuka E6Y. The design of the Yokosuka E6Y was very much of its age: tubular steel with fabric and wood covering, although key areas such as the floats had a duralumin skin. The biplane wings were of wooden construction, also covered with fabric. A striking feature of the E6Y was the location of the vertical stabiliser – underneath the tail rather than above as is conventional. This kept the height of the aircraft down, better enabling it to fit in tight submarine compartments. The engine was a Mitsubishi-developed improvement on the British Mongoose that was the standard on the Peto. A total of 10 Yokosuka E6Ys were built. 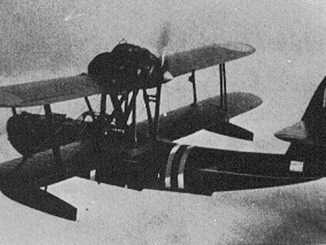 The first E6Ys were sent to sea aboard the submarines I-21 and I-51, which proved the concept of operating reconnaissance aircraft – the I-51 was the first submarine to feature an aircraft catapult. Usually the aircraft was broken down and stored in two compartments, with the wings being stored separately to the fuselage. With practice, a submarine crew could re-assemble the aircraft in under 16 minutes. A handful of E6Ys may have participated in the Shanghai Incident of 1932. 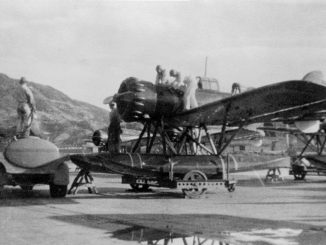 Later in their career, E6Ys patrolled of the Chinese coast in order to enforce the blockade of the country during the Sino-Japanese War, in conjunction with newer Watanabe E9Ws. By mid-1943, the last of the E6Ys had been withdrawn from service in favour of the E9W and the newer Yokosuka E14Y.